Omega Pi is a local sorority based in Halifax, NS. The Alpha Chapter of Omega Pi was founded in 1985 and now has 390 sisters. Omega Pi is centred around the values of respect, leadership, and individuality. The sisters develop skills that they will carry with them long after university, while making lasting friendships along the way. On Friday, September 21, 1984, Elizabeth Beck, Jennifer Flinn, and Heather Reynolds went out to celebrate Jennifer's 21st birthday. They ended the night at the Sigma Chi Fraternity House at (then) 6118 South St. and while there, Jennifer noted that Alpha Gamma Delta was the only Greek organization option for women on Dalhousie Campus. Based upon fun times shared with, and good things heard about various male and female members of the Greek Community at Dal, the three decided then and there that they should start a Sorority. They witnessed the display of brotherhood and co-operation between the brothers of Sigma Chi. But where to go from there? The founding Sisters consulted many resources, fellow organizations in Halifax; Inter-Fraternity Council (IFC); & some international contacts. At this point the focus of the goal became much clearer; to become a recognized society at Dalhousie and in doing so, create a new and unique, organization of women. They decided on the name Omega Pi, formed an Executive and participated in the Rush of the new semester. Officially establishing themselves April 20th, 1985. 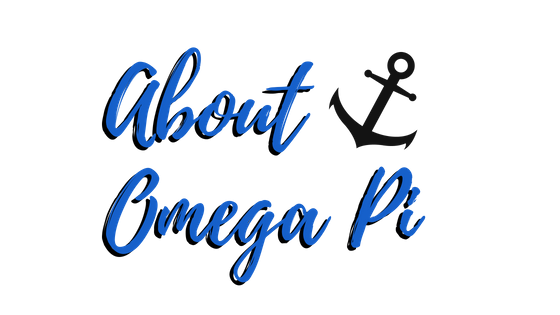 Interested in Joining Omega Pi? Rush Week happens twice during the academic year, once in September and again in January. During this time, Omega Pi hosts exciting events for girls who want to learn more about the sorority and see if it is a good fit for them. It also gives the Sisters the opportunity to get to know the interested girls. If you want to learn more about Rush Week check out the Rush Week page, or the Facebook group! After Rush Week, the Active Chapter will give out Pledge Bids. The Pledge Bid is your invitation to begin the process of becoming a sister of Omega Pi! Pledging lasts 6-8 weeks, during which time you will learn the history of Omega Pi and get to know the sisters. For more information about Pledging check out our Pledging FAQs. The last step is becoming a Sister! The Active Chapter meets weekly and holds several events throughout the year. There are always opportunities to get involved either through holding a position in the Chapter or just coming out to the events. You’ll never be bored as a Sister of Omega Pi. There’s always something to do or someone to talk to! Feel free to contact us if you have any questions or follow us on​ social media!